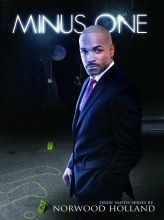 Minus One’s inception and inspiration was biographical. Right out of law school I worked as a Concierge at the Washington Marriott. I befriended two Bellman, a Latino and an Egyptian. That summer we hung out. DC is an international is both a small southern town and international. Most think of it as just a political seat of government, but it’s so much more. It’s also the city of my birth and I love the diversity. I thought the setting and eclectic friendships would make great elements in a story. I wrote the first draft in the 90s and it has gone through many changes. While the story has a biographical inspiration it is entirely fictional. It’s a mystery, a who dunit. I use the classic murder mystery format opening with a body. I tried to make it a thriller as well and in the process discovered why they are two completely different genres. One involves discovering the villain while the other involves chasing a villain and in a thriller it’s difficult to write about pursing an unknown villain. As it turns out the cover model is an actor. 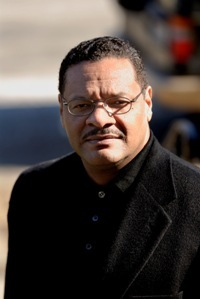 His name is Donnell Turner and I discovered him on line in independent film on Kickstarter.com. I contacted him and he agreed to pose. It turns out he had posed for a few other book covers. For the character I orginially saw him as a Lou Diamond Phillips image but he’s too old now. I would cast a new young Mexican American Jeremy Ray Valdez. I would also cast the Egyptian actor Ahmad Izz to play Medhat. Minus One is a modern day tale of the three Musketeers--all for one and one for all--without the happy ending. 4. Will your book be self-published or represented by an agency? My books are independently published. I started my own publishing imprint, Windmill Books. I steer away from the term self-published because a lot of urban writers continue to give the self published books a bad name with poorly edited products. After years of rejection by publishers and agency I decided to publish myself. On my second book with the 3rd one in production I haven’t looked back. I have come to believe that gatekeepers don’t really know what the reading public likes and they are more often guided by their own subjective taste. Very few agents and editors are interested in characters of color believing they are not marketable based on certain ignorance. It being shown they are making a huge mistake ignoring this market. 5. How long did it take you to write the first draft of your manuscript? One year. I set a daily goal of one page a day. So theoretically I would have a book in 365 days. That method generally works. Some days I would only write a paragraph and other days I would write 20 to 30 pages—I call those gifts. I generally followed the Mystery formula where the book opens with a body. I also used a flashback narrative retrospective to open. It’s the method by which I tell the story that distinguishes it. I got the idea from the movie Mildred Pierce to make a first person narrative that starts the story in media res, that is, in the midst of things. It’s a pretty effective method and so sublime very few realize there on a journey back to the beginning. What inspired the story was a fierce argument I witnessed between the real life Medhat and Julio. Even back then I knew their relationship had the makings of good story. Julio and Medhat were inspired by actual real life buddies Medhat and Julio. But that’s as far as the comparison goes. I can’t emphasize enough that this is a work of fiction. The novel has some unrestrained and indulgent sexual scenes all of which are a figment of my imagination. I don’t want readers to get the wrong idea. All the relationships are mixed, racially and culturally, but the only one, Drew and Nina, is affected by racism. Drew is in love with a Latina whose father objects to her dating a black man. Multiculturalism is a given throughout the book yet at the dawn of 21th Century race remains a major obstacle the Black man. In addition to the suspense of solving the murder I think the reader will find interest in how Drew reacts and copes with the situation. Thanks Rachelle for hosting Norwood on his book tour. Your support is always appreciated. You're welcome. It was nice meeting you too. Thanks Paulette for bringing Norwood to my blog. This looks great! Will check it out. Thanks for sharing.